In 1973, Roy Gandy formed what was destined to become one of the most famous companies in British audio. Like many of the audio startups of the time, Rega began in his garage, which turned out to be very close to their current factory in the UK. For 45 years, Rega has been all about producing very high value products that can also stand the test of time. It seems like almost once a month we see a very old Rega coming into our shop for an update to a new cartridge. We usually put a new belt on these and they are good for another long period of time. Rega’s engineering staff has a different philosophy than many other HiFi companies. While many companies feel like they must produce new models every year or so just to keep things fresh, Rega only makes a change when they have discovered enough engineering improvements to make a big improvement in performance. Many times this performance improvement results in an update to an older model. Over the last few years, this has been the case with the Rega turntable line up. We’ve seen the RP1 go the the P1, the RP2 go to the P2, and the RP3 move up to a P3. Based upon that information, you might think that we are moving from an RP8 to a P8 and the same thing is happening. However, in this case, the new Planar 8 is actually based on Rega’s 40th anniversary no holds barred Naiad that sells for 45,000 US. Their engineers wanted to make a much more affordable version of the Naiad. The result of their design and research led them to a model that fell at about the same price range as the older RP8, so while it does replace it, it also has more performance upgrades than we usually see when Rega upgrades a model! Rega is well known for the high performance phono cartridges and usually bundles them with their tables for a decent savings. This is the case with the Planar 8 as well. You can get it without a cartridge for $3,095, with their Ania moving coil for $3,695 (a $200 savings), or with their Apheta 2 moving coil for $4,295 (a $700 savings). Since the Apheta combo is such a good deal, we used that set up for our testing in this review. Since the Planar 8 is based on the Rega Naiad, we thought it would be fun to spend a little time on the Naiad itself. The first is to keep the platter spinning at the most constant speed possible. 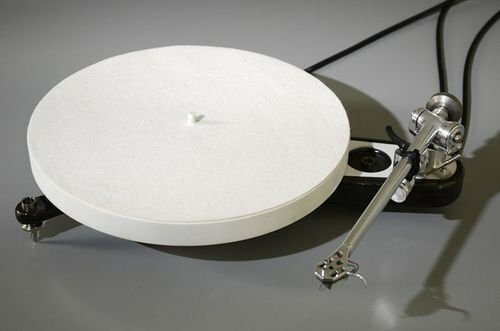 Secondly, Rega wants to minimize vibrations by using a very light and stiff subchassis designed to keep any external resonances from making their way into the table Finally, they want to deliver a tonearm/cartridge combination that extracts as much information as possible out of your record grooves. When Rega designed the Naiad, they took most of this to the very extreme! First, they made the subchassis super small and constructed it out of hand carved carbon fiber. The bracing was made out of a lightweight ceramic material. The tonearm uses titanium in several places and they decided to use Zirconia for the hub, spindle, and bearing. It's no wonder this literal jewel of a turntable sells for almost $45,000! 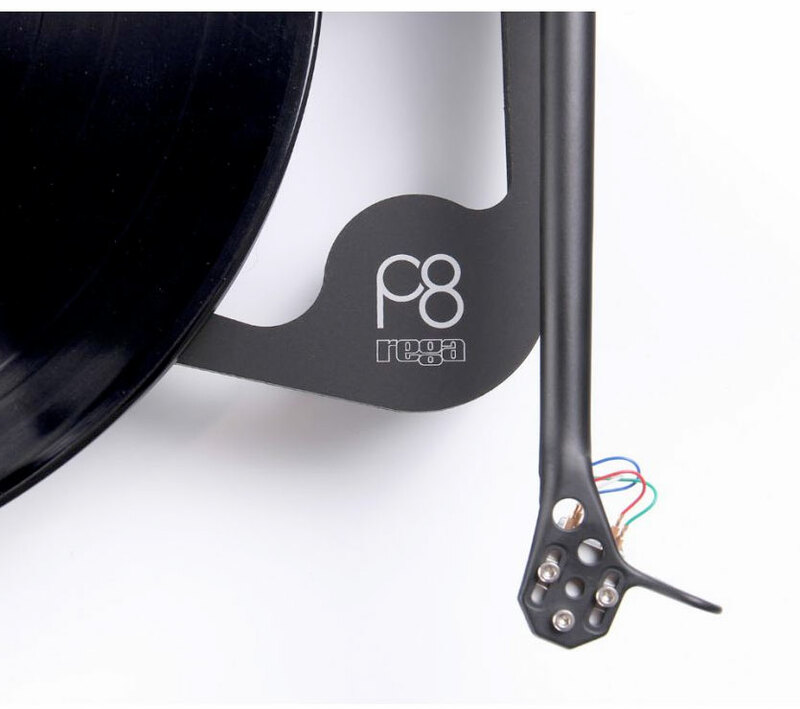 Like the Naiad, the P8 is a very unique looking turntable and far different than most of the other Rega models. This is due to the engineers trying to make the P8 as light and stiff as possible. To many, it will look like an audio work of art sitting in your system. All Rega turntables are manual in design, which means you do all the work, but also get the great sound a manual turntable offers. You’ll need to turn it on, lower the tonearm on the record surface using the cue lift, then raise it when the record is over. This is typical for about 99.9% off all the good turntables in the world today. You will also need a phono stage for the P8 and most Rega tables. If you choose the Ania or Apheta 2, you will need one capable of handling a moving coil cartridge. Rega’s own Fono MC or Aria MM/MC are great choices for a phono stage as they are perfectly matched to the Rega cartridges. 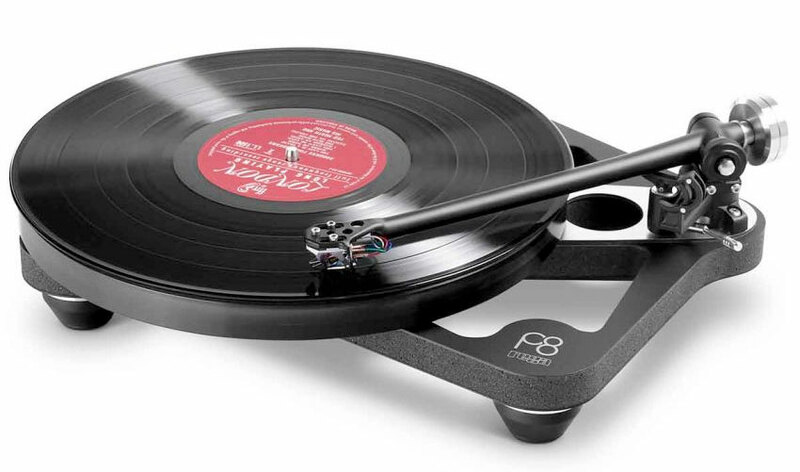 Some Rega tables give you a choice of colors, however, with the P8, it comes in just black. And unlike some other tables on the market that have a funky shape to them, the P8 does include a specially fitted dust cover. We must say though, we greatly prefer the look of the P8 with the dust cover out of sight! Build quality is super high and this is one fun table to take out of the box! The plinth seems almost weightless, while the glass platter carries considerable weight. The Planar 8 is one heck of a great design with first class build quality! The Rega Planar 6 has been a popular table at Audio Advice since its release in 2018. For those of you considering the P6 and the P8, we will have a review comparing the two models very soon. Rega is known for using lots of high tech materials in their designs to help your vinyl come to life. The new P8 is just full of materials and design ideas new to the audio world. We like to start from the bottom up on most turntable reviews and go out from there to tell you about the tech found in the Planar 8. When Rega did the Planar 6, they came up with a new design for the feet. These are made from a super lightweight rubber material called Santoprene. The feet are hollow with reinforcement trim rings made of aluminum. Rega chose to use this same type of foot on the Planar 8 and we must say they are great keeping external energy away from the table. The feet attach to a unique plinth design that comes from the learnings Rega discovered in the Niaid. It is a skeletal structure made out of a material that came from the aerospace industry, Tancast 8. The P6 was the first table from Rega to use this great new material. Tancast 8 is a polyurethane foam core sandwiched between two layers of black high pressure laminate. The engineers at Rega we have spoken to feel Tancast 8 is a breakthrough material for turntables. We expect we will see it in all of Rega’s new designs in the higher end price ranges. On the Planar 6, the edges of the foam core are covered in laminate, but to reduce mass even more, Rega leaves the edges naked in the Planar 8. Its like you can see a cutaway of Tancast 8 with this design. Rega uses a bracing design that couples the tonearm mount to the mount for the platter bearing and the Planar 8 does not deviate from this design.. In most of the other tables using this, the bracing is made out of aluminum. But for the Planar 8 they used a custom made phenolic resin aluminium skin brace. This great design reduces energy absorption and unwanted resonances from getting into the playback system. You’ll see other turntable makers use a huge, heavy plinth, while Rega takes the opposite approach, and we must say the proof is in the listening and their design comes to deliver an amazing clean sound. When we move on to the hub and turntable bearing assembly, we once again see designs drawn from the Naiad. The subplatter which supports the main platter is machined from a single piece of aluminum. This is attached to a hardened steel spindle which sits inside a custom brass housing using a new design that filtered down from the Naiad. This new mounting design keeps energy from transferring down to the plinth. Rega also incorporated a similar hub and subplatter system in the new Planar 6. Moving on to the platter, we find Rega’s classic glass platter design. The platter is super critical in keeping things spinning at a constant speed. One way to have good speed consistency is to use a very heavy platter, and as we all know, once something heavy gets moving, it tends to keep moving. 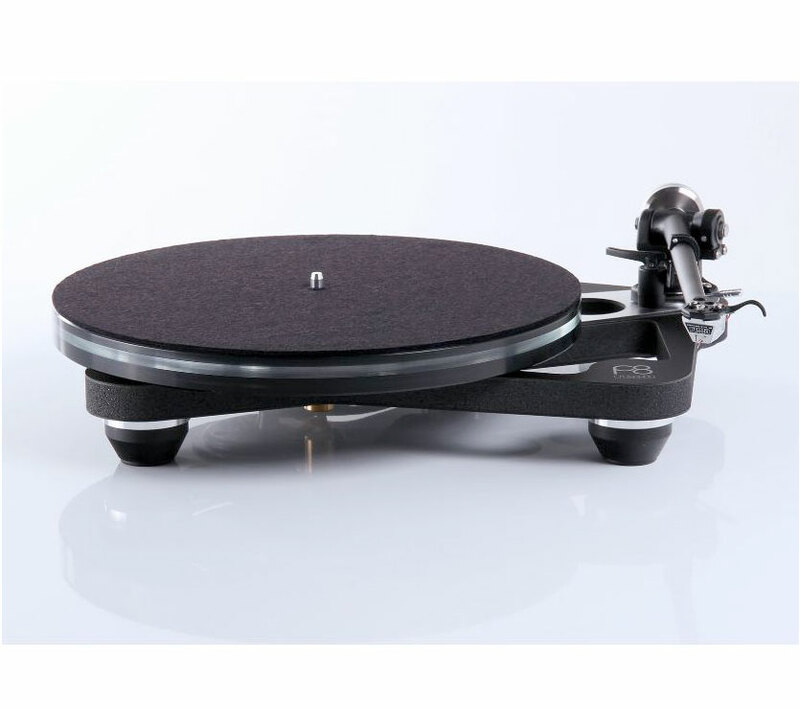 However, a heavy platter can put more strain than is needed on the turntable bearing, so Rega uses a method to have the best of both worlds. The Planar 8 has a triple glass platter with most of the thickness on the perimeter of the platter. This gives a great flywheel effect for excellent speed stability, but keeps things lighter than if the whole platter was this thickness, very clever! The RP8 also used a triple glass platter as well. With the Naiad, Rega learned that isolating the motor to the nth degree can have a big impact on performance.. This new motor mounting principal is another design that derived from the Naiad. Unlike most other Rega tables, the Planar 8 motor is mounted from the bottom using a new coupling technique. The bottom mount reduces stress on the motor and prevents unwanted energy transferring into the plinth. You’ll also notice the motor pulley has two precision slots for the dual belt system. Like the Planar 6, the Planar 8 comes with the Neo outboard speed control box. However, with the P8, each motor is hand tuned to the Neo that comes with it for even better speed stability. The engineering team at Rega has been doing some homework with chemists over the last three years to try and come up with a better material for turntable belts. This new type of belt is called the EBLT drive belt. Rega and the chemists came up with a special curing system that gives a more consistent elasticity which is pretty important in a turntable belt. The $40,000 Naiad uses 3 belts, so it was no surprise to see 2 on the Planar 8. The multi-belt system gives even better speed consistency. This is just another thing you don’t see, but that is going on behind the scenes to give you better sound. The Neo PSU speed control box is pretty interesting as well. It uses a specially designed DSP circuit that gets its reference from a very stable crystal. This can feed a perfect AC signal to the 24V AC motor. The beauty of this design is not affected by the power coming out of your wall, which as we all know can vary a lot over time. You’ll have perfect speed irrespective of how good or bad your AC power is over time. Rega then fine tunes the Neo to the motor in that exact Planar 8. Another advantage of having the motor speed control away from the turntable is the reduction in any possible noise. This idea is not new to Rega, as several high performance turntables have a separate power supply for the motor. The Neo also makes switching from 33 to 45 happen with just the push of a button. We finally get to the tonearm, another new design called the RB880. The Planar 6 uses the RB330, the same arm found on the Planar 3, but the Planar 8 gets a jump to the RB880. This aluminum and stainless steel beauty has far better tonearm bearings than their other models, with tolerances down to 1000th of a millimeter! They also improved the bearing structure in the RB880. There is absolutely zero chatter in the bearing (a pet peeve of ours) and it just feels totally free of any friction. 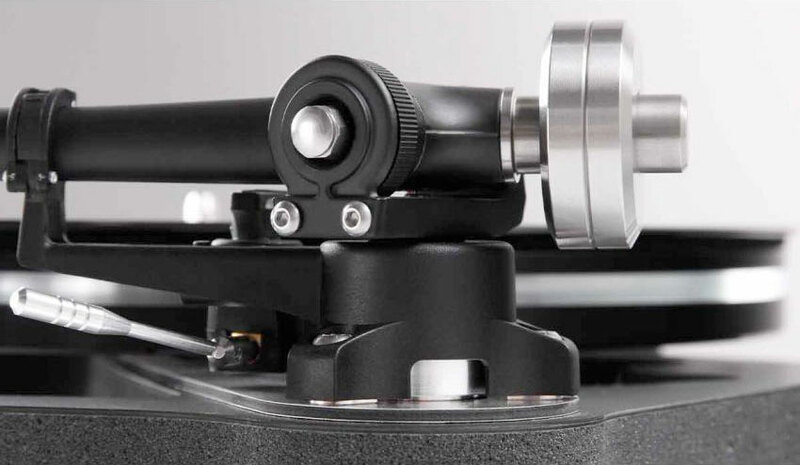 We also like the three point mounting system Rega incorporates in their better tonearms. When coupled with one of their higher performance cartridges, this assures you of a perfectly aligned cartridge. The phono cables coming out of the Planar 8 are of very high quality and even have locking RCA ends for a tight fitting connection. They are a hard wired connection all the way through, so they are not detachable. When you think about all this great new tech Rega put into the Planar 8, you can be sure it's going to be a great performer. For testing the Planar 8 we set up the new Cambridge Audio Edge NQ preamp with the Edge W power amp, with the new EGlo Phono stage from EAT. Rega will probably be mad at us for not using theirs, but we wanted to give this guy a whirl too! The speakers were the latest B&W 802s, with all Transparent cables. As we were thumbing through our LPs to pick out what to listen to, we came across several classics (mostly from 1977-78) we had not played in a while so we decided to give them a shot. Before we started listening, we cleaned all of the records on the Ultra Disc cleaning machine. The first track we tried was “Under the Boardwalk/Sand In My Shoes” from the Persuasions’ No Frills album. This was a very popular demo cut we used to play a lot back in the late 80s and it was fun to pull it out again. The very first thing that jumped out was the total silence in between the notes. We have found that as you move up to better and better turntables, the level of surface noise you hear goes down dramatically. The Planar 8 was outstanding in this regard! The only noise we ever heard was when there was a scratch on the LP causing a pop. The track is all acapella with lots of rhythm. The four male vocalists each stood out with fantastic sound staging. We were quickly tapping our toes to this great version of a classic song. Next up was John Prine’s Bruised Orange album from 1978 (the year Audio Advice opened for business). One of our all time favorite cuts is on this album: That's the Way That the World Goes 'Round”. This is full of great harmonies, but the true test is being able to hear the overdubbing of the recorders and being able to separate out the penny whistle playing at the same time. The bass track on this album can be over bloomed if the system is not right, but with the combination we had set up for this listening session, the sound was just magical. Every instrument stood out and the whole recording felt super energetic. We think this is one of the big pros of the Planar 8, the music just seems to come to life! Dynamics are incredible. Another thing about this recording is you need a cartridge/tonearm combination that can track really well to make it through with no distortion. 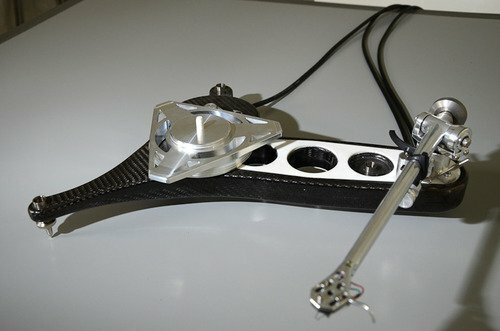 The combination of the new RB880 arm with the Apheta 2 tracks about as well as anything we have ever heard. It sailed through this and some of the other more difficult passages. And speaking of hard to track with lots going on, we pulled out The Neophonic String Band’s title album from 1977 on Direct Disk Labs. This one has lots of strings with several very hard to track vocal cuts but the Planar 8 just ate it up, making all of the instruments come to life. The harmonics on the strings were just rich as all get out on “Foggy Mountain Breakdown” and we never sensed any strain in the vocals on “In the Pines”. We also found ourselves tapping both feet to “Foggy Mountain Breakdown”! Finally, we grabbed another Direct to Disc, this time from JVC Japan, Sugarloaf Express recorded in 1977. This album features Lee Ritenour and a host of other great jazz musicians. If you like jazz and run across this one in the used bins, be sure and pick it up. The title track starts out with some very dynamic percussion with lots of cymbal action. The Planar 8 put these right up front and crystal clear. In contrast to this, Ritenour’s electric guitar comes in very smooth and softly in the background before taking over. This was just beautiful with the Planar 8! You know you have a great system put together when all you want to do is pull out more vinyl and when other people coming into the room they just stop and listen, which is exactly what happened with this testing system. As we said, you can get the Planar 8 in three versions. If you have a great cartridge already that will work with the RB880 arm, you might consider the model without a cartridge. However, we feel, the combination with the Apheta 2 is unquestionably the way to go. 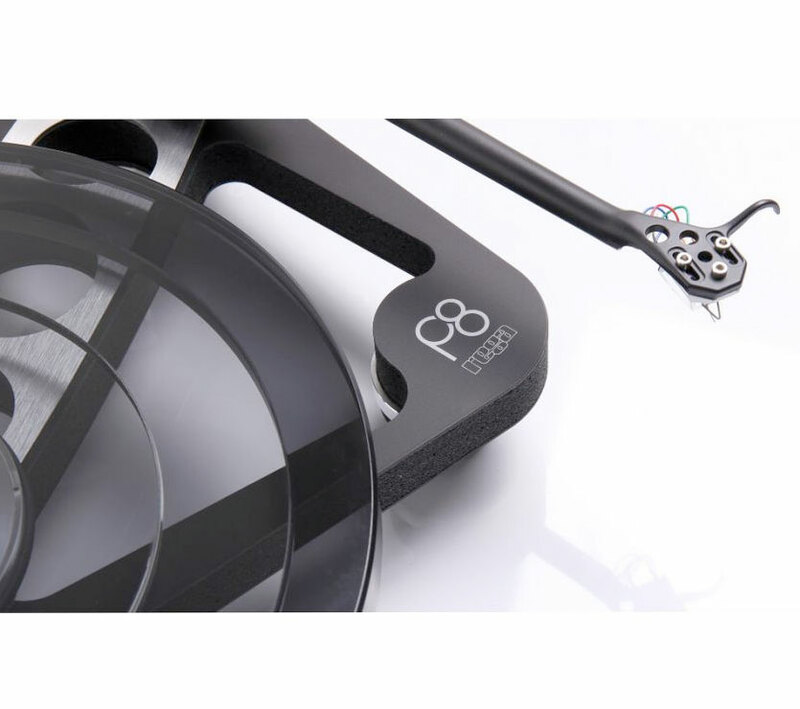 You’ll save $700 on what is an incredible cartridge that mates perfectly with the RB880 arm and Rega’s method of turntable isolation used in the Planar 8. The sound that combo produces is full of energy, separates instruments amazingly well, tracks like crazy, and gives you a totally silent background. Plus it is just one heck of a lot of fun to listen to! It is a great example of British sound that is true to the music. We also have reviews of the Rega Planar 1, Planar 2, Planar 3, and Planar 6. We’ve not heard but a handful of tables in our day that bring music to life like the Planar 8 and Apheta 2 combination, and nothing at this price range! Rega’s minimalistic Tancast 8 base has virtually no mass which perfectly supports Rega’s design of filtering out noise. You get the tech they learned about in their $45,000 Naiad turntable. When coupled with Rega’s Ania or even better the Apheta 2, you have a vinyl playback system designed from the ground up to give you the best performance.